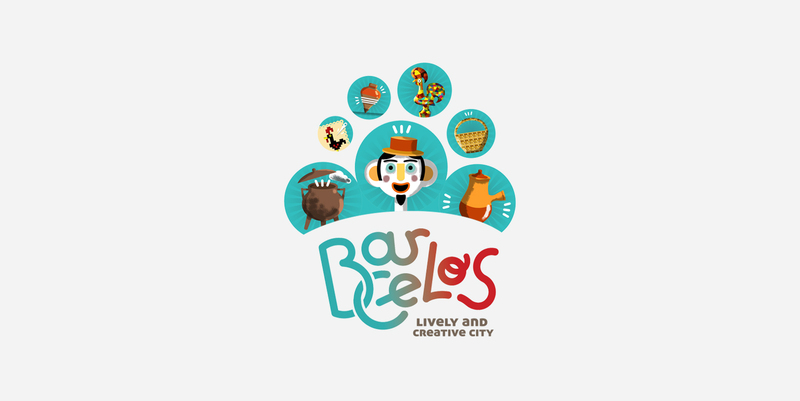 - It's currently a certified production that has reinvented itself in forms and concepts, in the light of the appearance of new materials and utensils, but maintaining its authenticity as an identity art of the county of Barcelos. 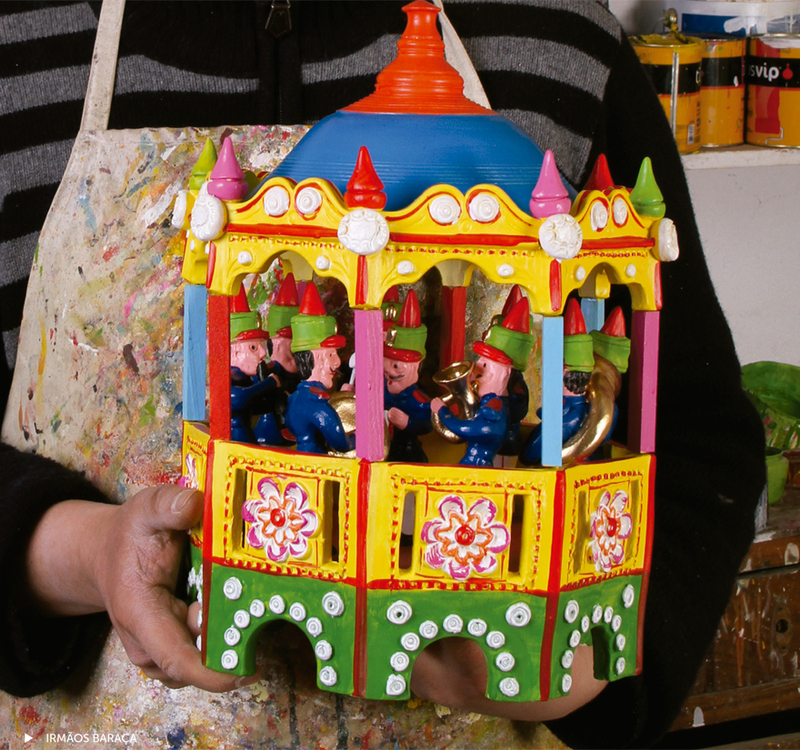 Barcelos Imagery started as a subsidiary activity of pottery, using small portions of clay and occupying the spaces left free in the oven by the main set of pieces of bigger dimensions. They were small figures shaped in the form of people and animals and on their base was placed a whistle or some musical instruments (harmonica, ocarina, nightingales, cuckoos…). Their function was merely a playful one. 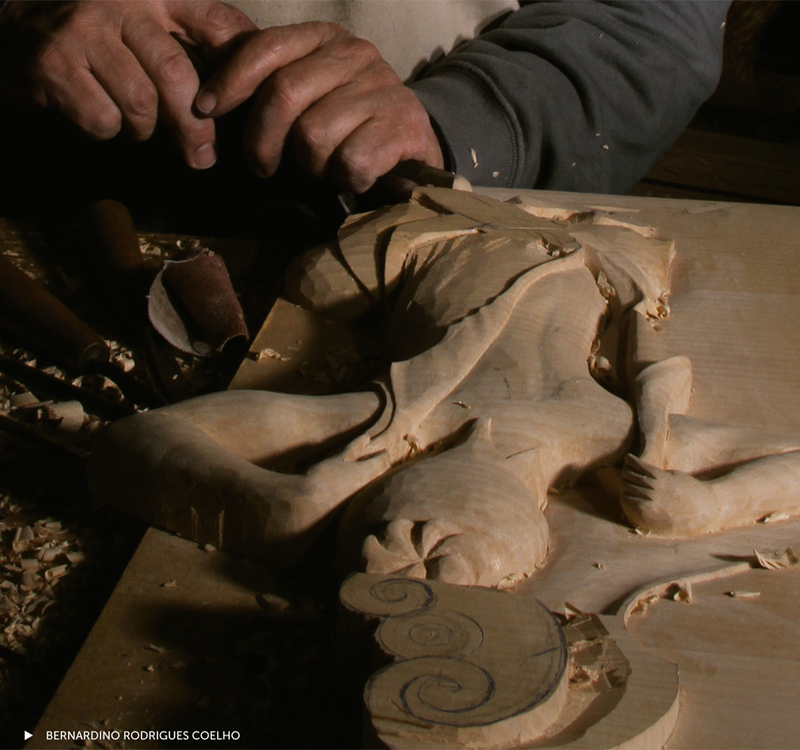 The timber is a raw material used in the production of decorative and utilitarian pieces, reason why also in Barcelos there are some craftsmen who work this raw material in a detailed and artistic form. The most common pieces are wooden miniatures, which mostly represent scenes of rural life (granaries, rakes, looms, spindles, etc.) and toys. 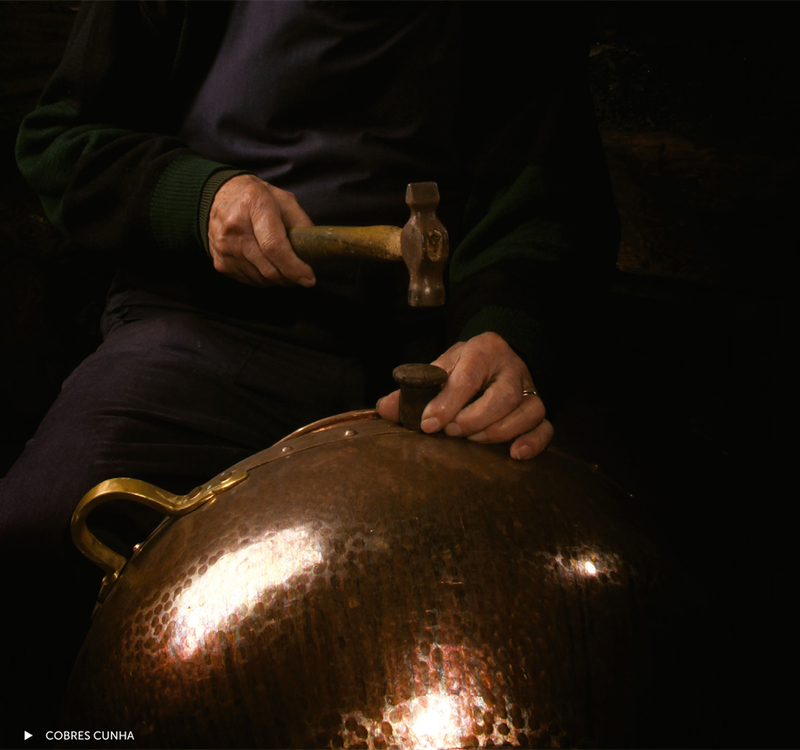 In terms of larger pieces, are essentially produced, agricultural utensils, rustic furniture and religious items. This type of craftsmanship is greatly appreciated for the detailed work and variety of pieces. 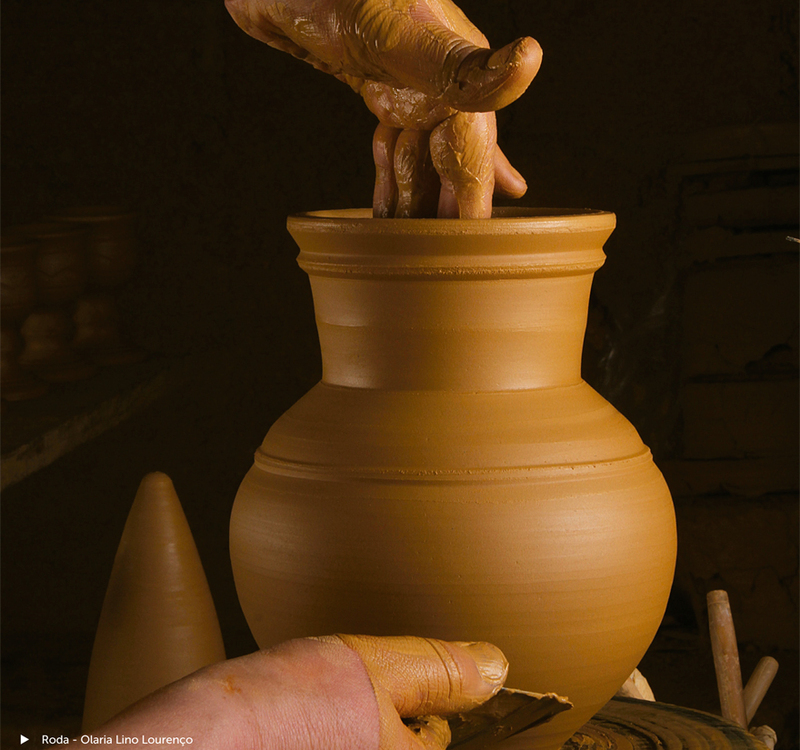 The work of the raw material, difficult by nature, culminates in objects of rare beauty and aesthetic magnificent. With the exception of some utilities (lamps, pots, vases, poultices, alembics, etc. ), the majority of the pieces produced are for decorative purposes, such as, chandeliers, watering cans, lamps, candle supports, oilers, among others . One of the pieces most appreciated by tourists are the famous Barcelos Rooster in iron or copper. 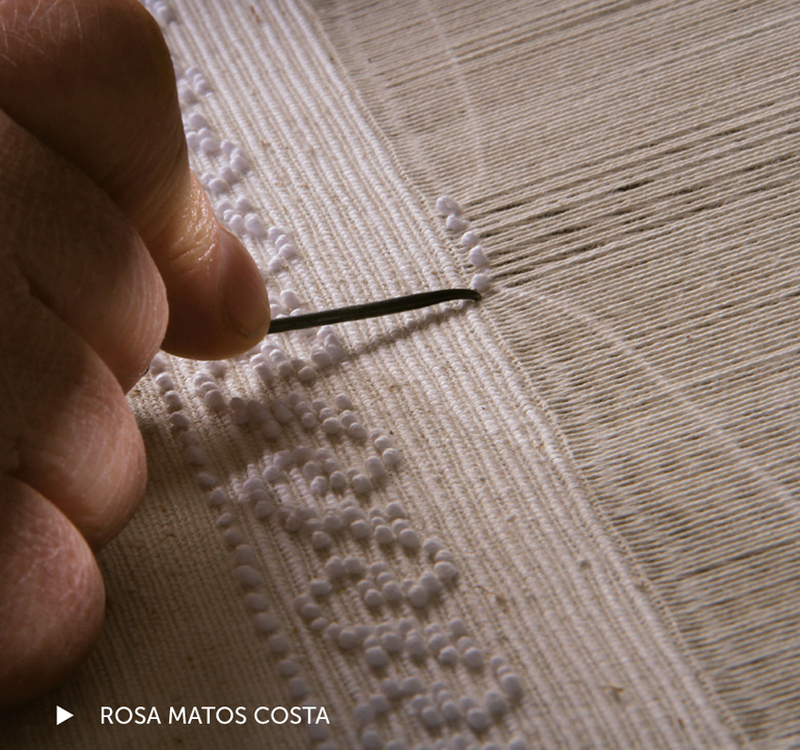 The art of embroidering and weaving is a tradition in the county of Barcelos, in particular in the parish of Carreira, having in the known Sieve Embroidery of S. Miguel da Carreira an old tradition, with very own characteristics that by its forms and minutia differs from the other Minho’s embroidery. In Barcelos there are still craftsmen, in many parishes, who weave in traditional looms and embroider in a traditional way, conserving the knowledge and techniques that, for years, were the base of the economy of some parishes. Basketry and Wicker are an indispensable element for the knowledge and enjoyment of regional handicrafts. 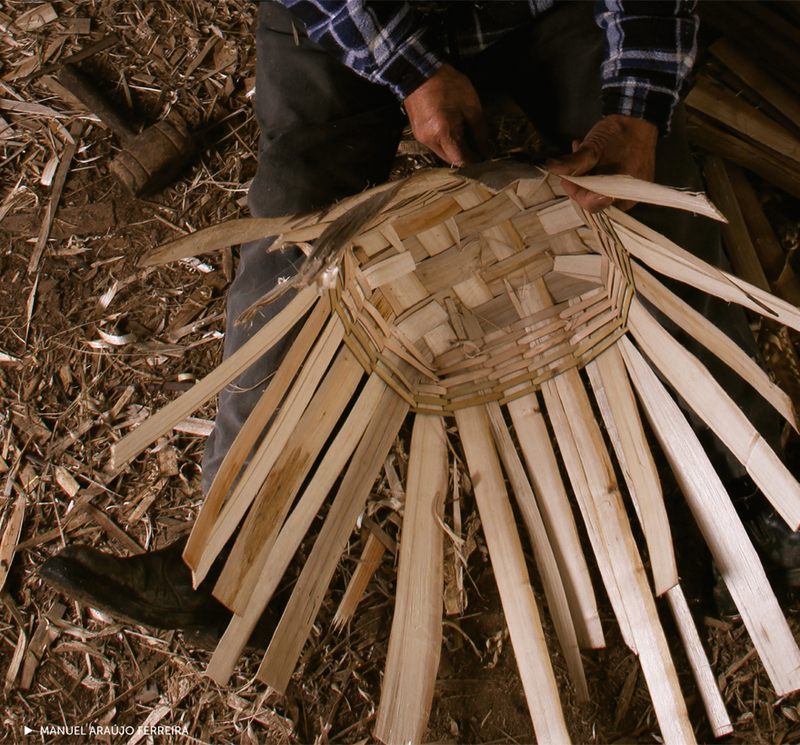 Throughout all the county, we can also find artisans, who individually or in the family, produce basketry pieces, either with a utilitarian or a bold and innovative decorative sense. The most common pieces are the traditional baskets, for domestic and decorative uses or to the handling of traditional agriculture.